Social media have become an essential marketing tool for many online businesses, so it's important to know what tactics work better and how using them properly can build your online presence. In following infographic you'll learn some social hashtag etiquette, how people use them? And how to use hashtags for its best results. Hash.tag [hash-tag] noun 1. A keyword preceded by the hash symbol (#) and linked to a dynamic feed within the social network where it is posted. Hashtags started on Twitter, then spread to Instagram, Google+, Pinterest, LinkedIn, and Vine - and now Facebook supports them. Tag your posts with the best of 'em by understanding the purpose of hashtags - and the social etiquette for using them. #DoNotStringTooManyWordsTogather You can put multiple words together (be sure to omit spaces if you do), but keep it short and capitalize the first letter of each new word to make it easier on the eyes. #Do #not #tag #each #and #every #word People will lose track, of what they are reading and what you're saying, and quickly move on to a less cluttered post and all goes wrong. Avoid overusing descriptive synonym tags at the end of a post i.e #my2cents #idea #thought. Adding that follow it a link. If there's not a valid reason for further describing your post and aligning it with a topic, it seems messy and unnecessary. WITH ALL THAT NOISE, HOW CAN YOU GET YOUR MESSAGE TO STAND OUT & REACH YOUR AUDIENCE? Keep the #ChatName short so people can include it in each post with ease and view the whole conversation as it's happening by clicking on the #ChatName. You can increase exposure by posting about a trending topic. Just be sure you're clear on what the #trend really is - do some research on the topic before associating your post with it. Search the social networks for a #keyword and see what's already being said about it. Then use that #keyword in your post or ad to increase your exposure. An event-specific hashtag can work wonders for your marketing efforts. Promote the event, tag real-time posts, and crowd source photos. Hashtags can be used as punch lines from time to time, but doing it too often (or stringing too many words together) can be overwhelming on the eyes. Have fun, but keep it simple. Not many people are talking about the #socliameida, but quite few are interested in #SocialMedia. 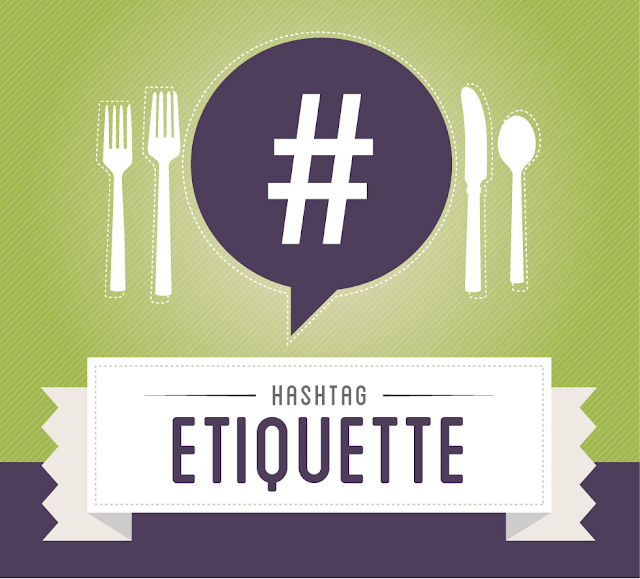 Hashtags etiquette is one of the highlights to promote and very interesting. Apply this as your strategy, so that the audience won't jump into any further topic.